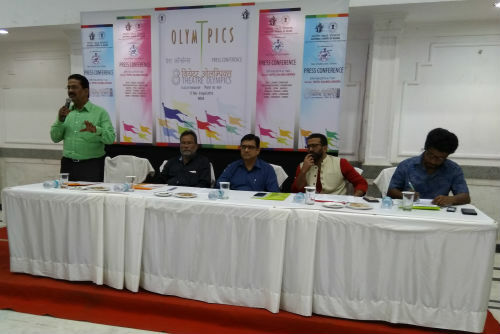 Bhubaneswar: With India hosting the largest international theatre festival – the 8th Theatre Olympics – for the first time, Bhubaneswar is set to shine under the spotlight, as the city prepares itself to be one of the co-hosts to the biggest theatrical extravaganza in the world. 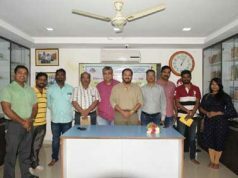 The National School of Drama is collaborating with The Counselling of Scientific & Industrial Research (CSIR), Institute of Minerals and Materials Technology, Bhubaneswar as well as the Department of Tourism & Culture, Odisha to host the Bhubaneswar segment ofthe 8th Theatre Olympics. 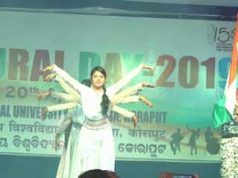 The people of Bhubaneswar are well familiar with the rich culture of Odisha theatre. Being one of the co-hosting cities to the grand event gives theatre enthusiasts the opportunity to experience a variety of folk, national, and international theatre. The Honourable Vice President of India Shri Venkaiah Naidu would inaugurate the 51-day-long nationwide theatre extravaganza at majestic Red Fort, Delhi, on 17th February 2018 at 6:30 PM. With “Flag of Friendship” as its theme, the 8th edition of Theatre Olympics will celebrate universal friendship and human values by showcasing theatre traditions of India and the world. “Art has been the earliest form of communication. Nothing gives an artist more delight than performing in front of an audience that appreciates art, no matter from which part of the world they come. In a way, theatre is a great equalizer and unites people of multiple cultures and traditions under one umbrella. We are extremely proud to bring the world’s largest theatre festival to India. During this 51-day long nationwide celebration of the 8thTheatre Olympics, we attempt to bridge the borders across countries through the call of theatre and engage in creating a global village,” says Dr. Arjun Deo Charan, Acting Chairman of National School of Drama Society.